You will find below the general description of our USB drives offer. For questions about these characteristics, please contact by email or by phone. What is Flash Memory OEM? OEM = Original Equipment Manufactured. All USB drives are equipped with USB Flash Memory OEM modules. OEM memory module is the same product as a Brand name module, except that the distribution channel is different. We are so confident in the quality of our USB key that we offer you free replacement if you find a defect. We use OEM quality memory chips. 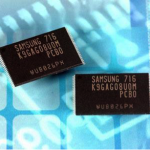 All our OEM chips use well-known large DRAM manufacturers like Samsung, Micron, Toshiba and Intel. 3 –All other memories below Grades A have a high defective rate. These are chips that are sold to suppliers that look for the cheapest price. You do get what you pay for. So make sure your provider will ensure quality of the memory in order to make the right investment.